So then what's the solution?? 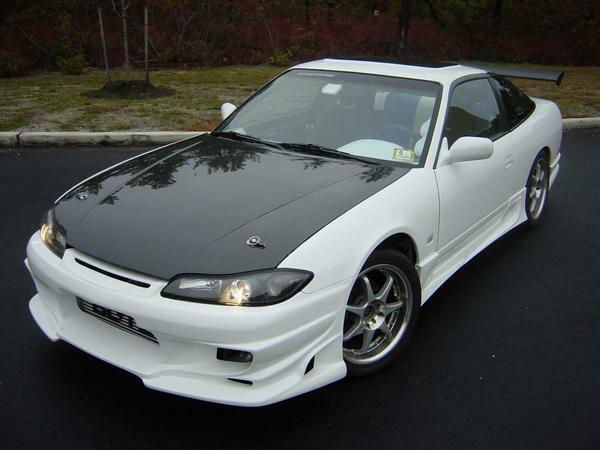 We can just cram a whole bunch of Japanese parts into the U.S. version, to create a JDM (Japanese Domestic Market) clone. Fortunately for us, Japanese people have much better cars than we do, so they trash all their SR20DET's. As a result, there are an abundant supply of these engines in Japanese junkyards. Why would they trash them you say? Because, they have much better. What we have here, is the SR20DET engine well perserved in its original casing. The 240sx Chassis are the same, that is, their structural integrity is almost exactly alike. Which means, that the engine should drop in, and bolt relatively easily... which it does. For those interested there are some great online forums where fellow enthusiasts are more than willing to help you out on your conversion. Also, there is enough information posted to guide you through almost any endeavor you might choose. Good luck on building your SR20DET.